Any Babar fans out there? Today we’re reading about the time he and Celeste decided to convert an old train station into a museum to house all the art they collected on their travels. What does everyone have on deck for bedtime stories tonight? 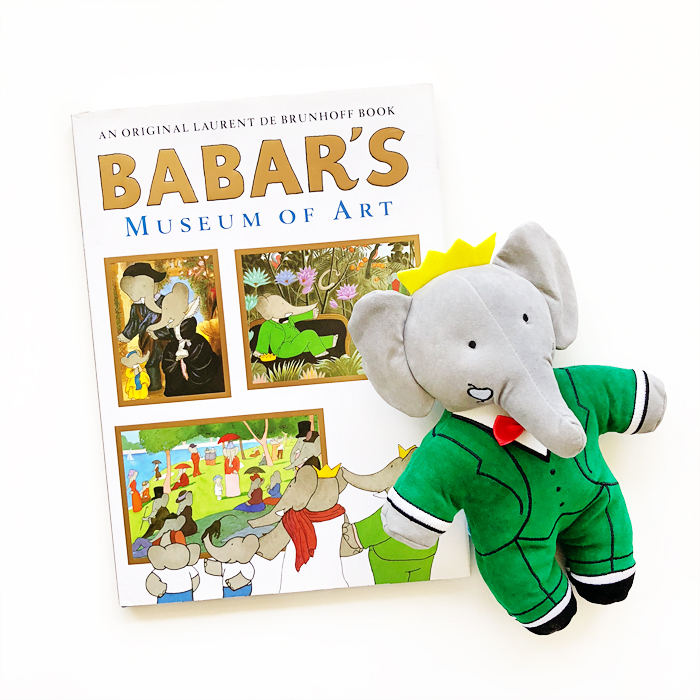 Babar's Museum of Art was written and illustrated by Laurent de Brunhoff and published by Abrams Kids. Babar plush made by YOTTOY. Listen to a 2003 interview with Laurent de Brunhoff on All Things Considered here.